celtic dolmens, cromlechs and menhirs. The term ‘megalith’ is derived from two Greek words i.e. culture is sporadic in occurrence in comparison with South India. known as megalithic culture. 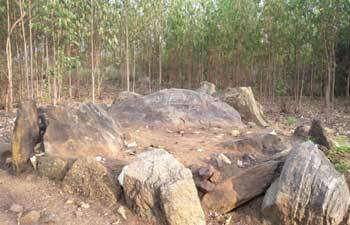 In Andhra Pradesh 33 megalithc burial sites were excavated so far.